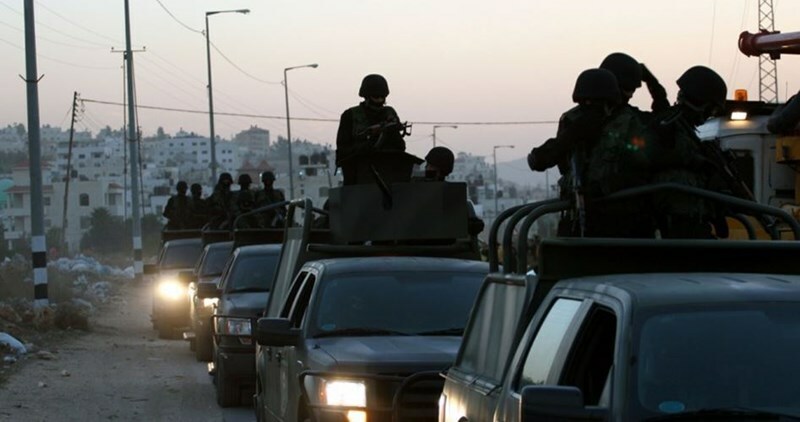 Palestinian Authority’s (PA) security forces launched a large-scale arrest campaign that affected 14 members of resistance factions in different governorates of the West Bank on Monday. The PA preventive security forces arrested three ex-detainees in Ramallah and six others from Qatanna village near Occupied Jerusalem. Four other men were arrested in Hajjah village in Qalqilya after charging them with participation in the funeral of martyr Bashar Masalha. 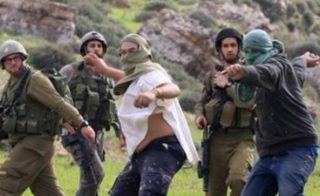 The PA intelligence forces arrested a young man from Askar refugee camp in Nablus after he had been summoned for questioning. Meanwhile, the political prisoner Riyadh al-Nadi was transferred to hospital due to the worsening of his health inside the cells of al-Junaid prison in Nablus. The Palestinian interior ministry at dawn Tuesday carried out death penalties against three criminals convicted of killing citizens in Gaza in compliance with court verdicts issued in this regard. According to an official Palestinian source, the three convicts committed killings and robberies about one year ago. The executions took place in the central prison of Gaza in the presence of human rights and law figures as well as the families of the victims. 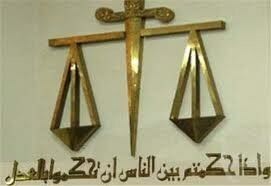 The Palestinian prosecution office stated today that the capital punishment sentences were enforced by the competent authorities after the litigants completed all legal proceedings before the local courts of law. It also stressed that "the enforcement of court verdicts is a legal duty to protect the social fabric." "The execution of capital punishment aims to create public deterrence for those who feel tempted to commit such crimes," it added. 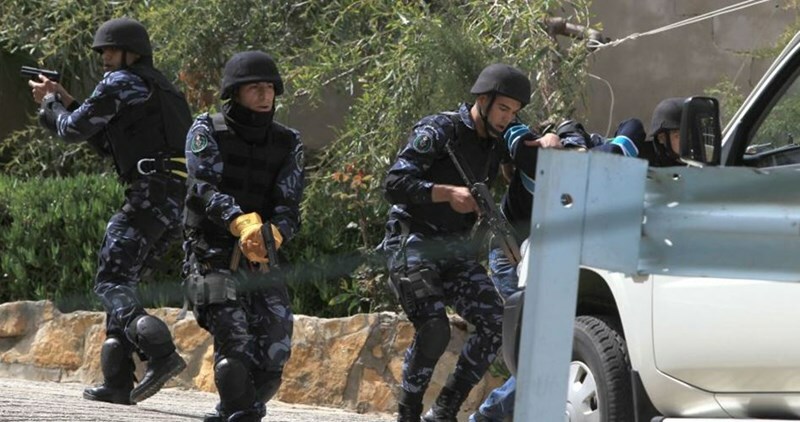 The Palestinian Authority (PA) security forces on Saturday kidnapped an ex-detainee and refused to release other citizens arrested as a result of their political affiliations. In Jenin, the PA preventive security apparatus kidnapped ex-detainee Abdul-Jabbar Khabbas, from Jalqamus town. He was released nearly one month ago from an Israeli jail. The PA intelligence apparatus, for its part, kidnapped a university student called Hammam Fattash last Thursday. Fattash was detained after he was summoned for interrogation by the PA intelligence following his participation with his friends in their graduation ceremony at an-Najah University. In Jericho, political prisoner Tawfiq Qindil has been on hunger strike in a PA jail for about 15 days in protest at his detention with no guilt. Another political prisoner named Islam al-Rifa'ie was taken to hospital last Friday after he suffered a hand fracture during his interrogation by PA intelligence officers. Rifa'ie, from Askar refugee camp in Nablus, was kidnapped on May 22 after he responded to a summons issued against him. Several Palestinians joined on Tuesday evening a sit-in staged in the Aida refugee camp, in Bethlehem, to speak up against the arbitrary abductions carried out by the Palestinian Authority (PA) forces against anti-occupation activists. Reporting from Bethlehem, a PIC correspondent said dozens of Palestinians marched from the Aida camp to the so-called PA security square in Bethlehem. Several PA troops were seen deployed around the area in an attempt to quell the protest. Over recent days, several Palestinian anti-occupation activists and youths were arrested by the PA forces in a move aimed at propping up security coordination with the Israeli occupation. In a related development, the Israeli occupation forces kidnapped the Palestinian student Khalil Mustafa Kanaan, a couple of days after he had been released from the PA jail, where he had spent 27 days. The PA forces also arrested the Islamic Jihad leader Ahmad al-Nasr in western Ramallah city after they wreaked havoc on his family home. 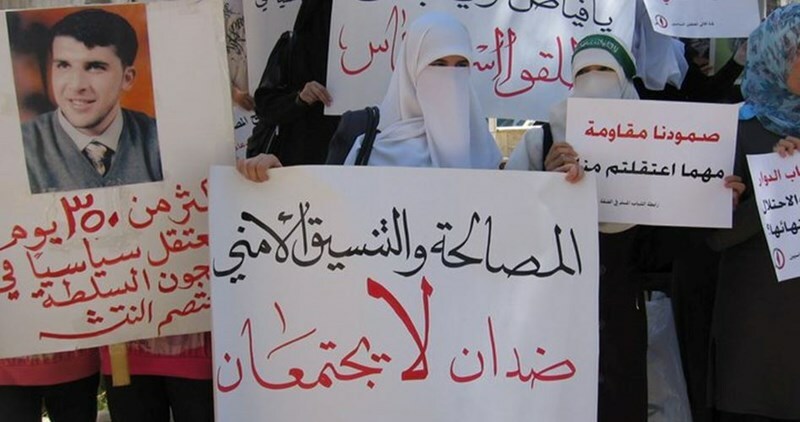 Dozens of Palestinian citizens from al-Qawasmi family rallied last night outside the headquarters of the Palestinian Authority (PA) preventive security apparatus to demand the release of their relative Ayman al-Qawasmi, who was exposed to torture. Fathiya al-Qawasmi, the mother of Ayman, told the Palestinian Information Center (PIC) that the preventive security forces kidnapped her son last Thursday from his home in al-Khalil city after searching it. Qawasmi said that the family on Friday received confirmed information about the transfer of her son to hospital after he was exposed to severe torture at the hands of interrogators. She added that following the unfortunate news about her son, many of her relatives went to the hospital and later rallied outside the headquarters of the preventive security, where he was taken back, to demand his release. Ayman is the eldest son of martyr Abdullah Qawasmi, a prominent military leader of al-Qassam Brigades of Hamas who was assassinated in June 21, 2003 in al-Khalil. He added that PA security services were instructed to start implementing the decision “under supervision of the Palestinian political echelon” and that security agencies will decide whether to implement the decision gradually or entirely. He pointed out complications could arise during visits by right wing Israelis to Joseph’s Tomb in Nablus. Such problematic issues, which have so far been under control through security coordination, will remain questionable, he said. The main motivation behind ending the PA’s security relationship with Israel, Maqboul stressed, was for the PA to not remain silent about the near daily raids conducted by Israeli forces inside the West Bank, which legitimizes Israel’s illegal occupation of these areas. He added that the decision did not mean the PA was declaring an intention to begin armed fighting with Israel or indicate a “shift from one stage to another,” but was merely made in response to Israel’s refusal to stop entering Area A -- the 18 percent of the occupied West Bank which are officially under full Palestinian civil and security jurisdiction. However, Maqboul concluded by saying the PLO might reconsider its decision if Israel commits to not entering area A. The decision in question was made by the PLO Executive Committee on Wednesday to start implementing a former decision made by the PLO Central Council in March that threatened to limit coordination with Israel if the "current situation" were to continue. Then, in April, Israeli Prime Minister Benjamin Netanyahu announced in an Isreali security cabinet meeting that in spite of the talks with Palestinian officials, Israeli armed forces would continue their military incursions into Area A. The PA has repeatedly threatened to put an end to the security coordination with Israel over the years. 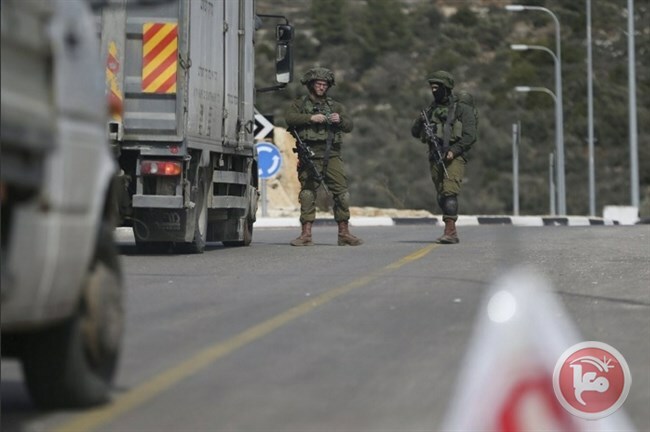 However, a recent report by Israeli newspaper Haaretz revealed that Palestinian security forces have carried out 40 percent of detentions of “suspected terrorists” in the occupied West Bank in past months. In March, Palestinian President Mahmoud Abbas stirred controversy in an interview when he credited the ongoing security coordination between the PA and Israel for curbing a wave of Palestinian attacks on Israeli targets. More than 20 years on, however, any transfer of power has yet to take place. The Hamas movement and other Palestinian groups have repeatedly accused the PA of aligning with Israel's goals in the occupied West Bank, and recently of preventing a sustained uprising against Israel. The Palestinian Authority’s Preventive Security Service (PSS) arrested on Saturday a young Palestinian man from a village in the central occupied West Bank district of Ramallah for allegedly writing posts on his Facebook account insulting Prophet Muhammad. PSS officials told Ma’an that the suspect “claims he is Shiite and has been writing insults against Prophet Muhammad, his companions, and Muhammad's wife Aysha." The suspect was referred to the PA attorney general who decided to extend his remand to keep the youth for questioning. PSS officials confirmed that the suspect confessed to the charges during the initial interrogation. “This is an assault on religions rather than freedom of expression or freedom of religion,” the officials said. A number of Palestinians were detained by Palestinian forces last year for their use of social media to criticize the Palestinian Authority and Palestinian security services. The Gaza security forces arrested a cell threatening national security in the besieged enclave, the Ministry of Interior and National Security reported on Tuesday evening. 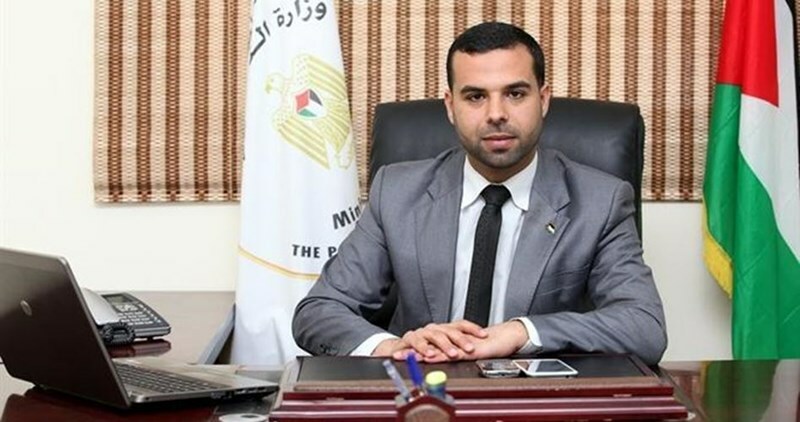 The ministry spokesman, Iyad al-Bazm, said in a statement posted on Facebook that the security forces arrested a cell planning to disrupt national security in the blockaded Gaza Strip. Sometime earlier, the military prosecution released the Fatah leader Marwa al-Mesri, loyal to the suspended Fatah leader Muhammad Dahlan, on bail pending her trial. Commenting on newly-released reports on al-Mesri’s connection to the cell, al-Bazm said no reports have been issued by the Interior Ministry in this regard. Informed sources also told the PIC that Gaza’s security apparatuses nabbed a cell run by a former security official in the occupied West Bank. Posing as Daesh, the cell recorded a video implicating Gaza in terrorist threats. 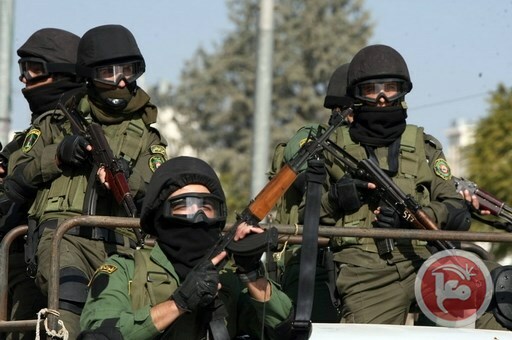 According to the same sources, members of the Palestinian Authority (PA) security forces in the West Bank, loyal to President Mahmoud Abbas, have been arrested on that ground, including a colonel and another officer, who reportedly received arms and cash before they recorded the video impersonating Daesh terrorists. Gaza’s security forces had been chasing down the cell since early March but it was not before recent weeks that it was fully dismantled.